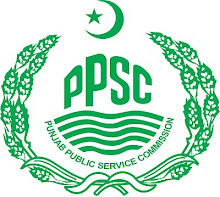 Punjab Public Service Commission (PPSC), Lahore announced a public notes for the candidates who applied for the job vacancies that are through Punjab Public Service Commission, now PPSC announce the schedules of written examination 2019, these tests will be conducted for the different departments for various posts. Candidates who applied on it now they are called for written test on various dates of this month. They must be appear in the ppsc exam to join the respective department, But One of the major problem is that you must preparations for these exams to clear and appear in the interview because ppsc exams must be cleared for further procedure because those candidates will not be called for interview those will not be cleared ppsc exams. So you must preparation for the PPSC Written test and examinations, once you will be cleared in ppsc exams then you will be called for interview and when you will clear the interview then maximum chance you have to get the jobs but final thing is merit list if your name will be appeared in the merit list then you will be received the call letter to join the job. PPSC will be conduct in the cities of Lahore, Rawalpindi and Multan for some posts which mentioned in ad as per detail given below. While the tests of some other posts will be conduct in Lahore, each candidate will be informed through a text message and E-mail about the test venue and centers. Here we update more information about written tests and examinations of PPSC online so for more quick details visit this page. Candidates who selected for test and written examination now get detail about test venue and center from Secretary (PPSC) Mirza Naseer Inayat here his contact numbers are also available. More information about test available here so keep visiting this page. sir meri date of birth 23-03-1997 h kya main ppsc test k liye eligible hn plz tell me?